“A Strong Heart”: Our brand new book launches this week! Kids’ Own and a group of County Mayo children will launch “A Strong Heart: A book of stories and dreams for the future by Syrian and Palestinian children living in County Mayo”, during World Refugee Week. This Thursday, 21st June at 4:30pm, Kids’ Own is excited to host Syrian and Palestinian families and other community members at the Linenhall Arts Centre in Castlebar to celebrate the launch of a brand new book of writings and art by migrant children living in County Mayo. 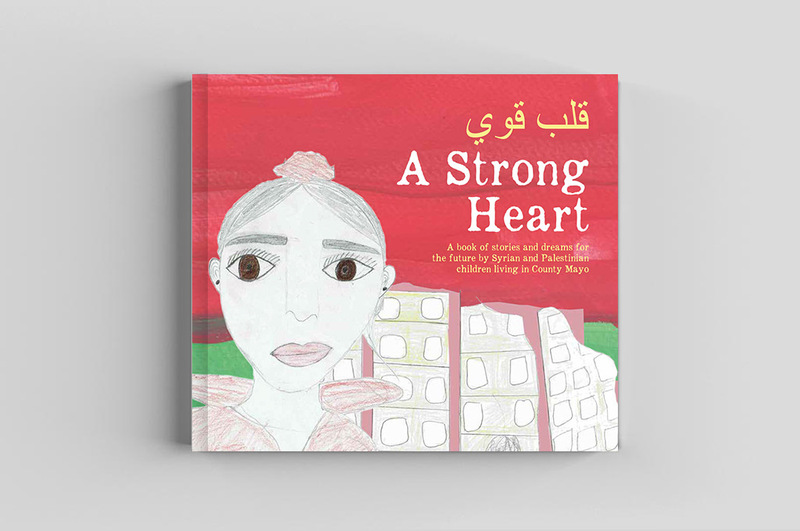 The book, “A Strong Heart: A book of stories and dreams for the future by Syrian and Palestinian children living in County Mayo”, was developed through a creative process alongside writer Mary Branley and artist Vanya Lambrecht Ward. The launch comes as part of World Refugee Week, and the day after World Refugee Day, which the United Nation has declared for 20th June. Initiated and developed by Kids’ Own – and supported by the St Stephen’s Green Trust, Mayo County Council and South West Mayo Development Company – the project was part of a vision to offer a space for migrant children to develop their creativity and self-expression through an artistic process, and to publish a book that would foreground and give credence to their voices, lives and experiences. Over five weeks, in April and May 2018, the group of children, who live in communities in County Mayo, came together with the artist and writer at the Linenhall Arts Centre, Castlebar, to develop the body of work that was to be brought together in their book. “A Strong Heart: A book of stories and dreams for the future by Syrian and Palestinian children living in County Mayo”, is a beautiful manifestation of the children’s work, and will be disseminated widely after the launch.